The German Research Foundation (DFG) is establishing 14 new Priority Programmes (SPP) for the year 2020. This was decided by the DFG Senate in Bonn. One of the 14 new programs, selected from 50 submitted initiatives, was set up with the contribution of Prof. Christoph Stampfer (a member of the Aachen Graphene & 2D Materials Center) and focuses on 2D materials. The new programon is entitled "2D Materials - Physics of van der Waals Heterostructures (2DMP)" and it is coordinated by Prof. Dr. Thomas Heine (TU Dresden). 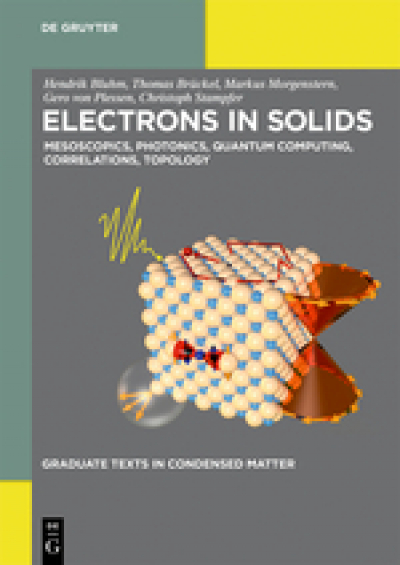 As a continuation of classical condensed matter physics texts, this graduate textbook on “Electrons in Solids” introduces advanced topics of correlated electron systems, mesoscopic transport, low-dimensional electron systems, unconventional superconductivity and topological insulators. These aspects are complemented by theoretical aspects of quantum information theory as well as solid state implementations. The book covers modern many body theory and effects arising from correlated electron systems and closes a gap between basic condensed matter textbooks and the forefront of research. 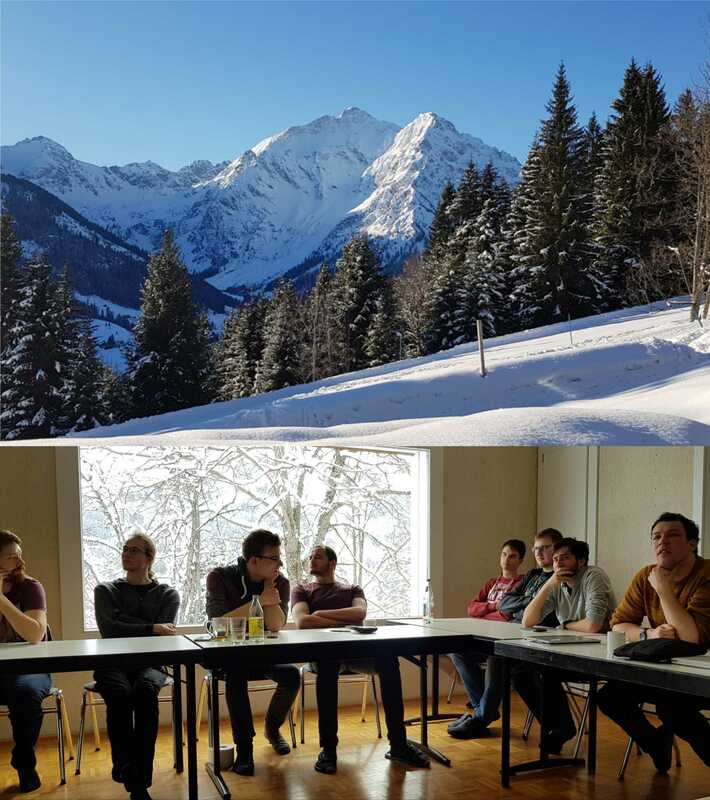 The Söllerhaus-Workshop 2019 from the 15th to the 21st of March of the 2nd Institute of Physics A, B and C focusing on "2D Materials and Quantum Technologies" was great fun with many interesting talks and discussions and lots of good snow. 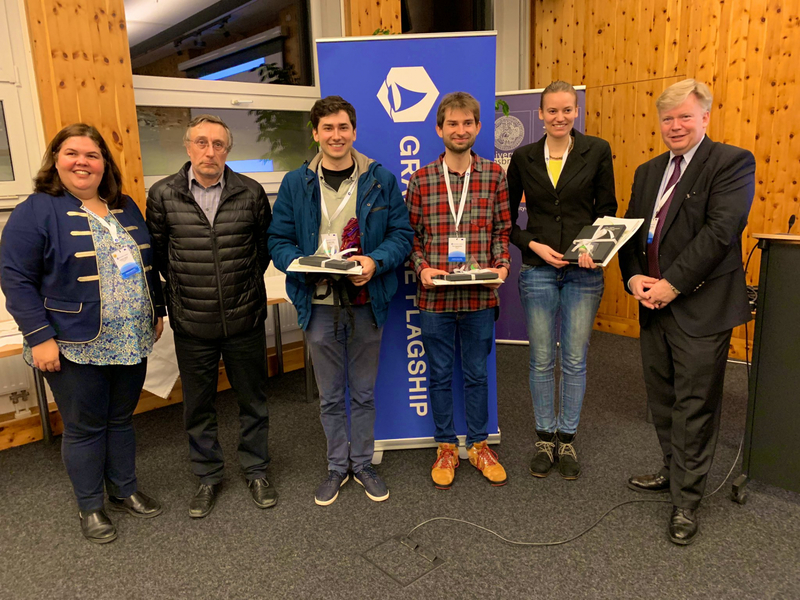 Poster prize for Benedikt Frohn at the "Graphene Study 2019"
Benedikt Frohn won the 1st poster prize at the "Graphene Study 2018" in Obergurgl (Austria) with his poster on "Gate-defined electron-hole double dots in bilayer graphene". Congratulations! The 3rd poster prize went to Rebekka Garreis from the Ensslin group (ETH Zurich) with a very nice poster on charge detection in bilayer graphene quantum dots. Allowing one to conclude that soft-confinement in bilayer graphene is indeed highly promising. A big push for RWTHs 2D materials activities. The Federal Ministry for Education and Research (BMBF) provides 9.3 million euros for the research lab “2D-ForMe". More information can be found here. For the second time Christoph Stampfer has been awarded a prestigious ERC Grant. After an ERC Starting Grant on “Graphene Quantum Electromechanical Systems” in 2011, he now receives a Consolidator Grant to work with his team on “2D Materials for Quantum Technologies”. The JARA-FIT Annual Report 2017 is now available and gives an overview about the different occurrences like events, honours and research results. The reports also contains a current list of JARA members and involved institutes. Research reports give a summery about the work an development of the section. The JARA-FIT Annual Report 2017 can be found here.